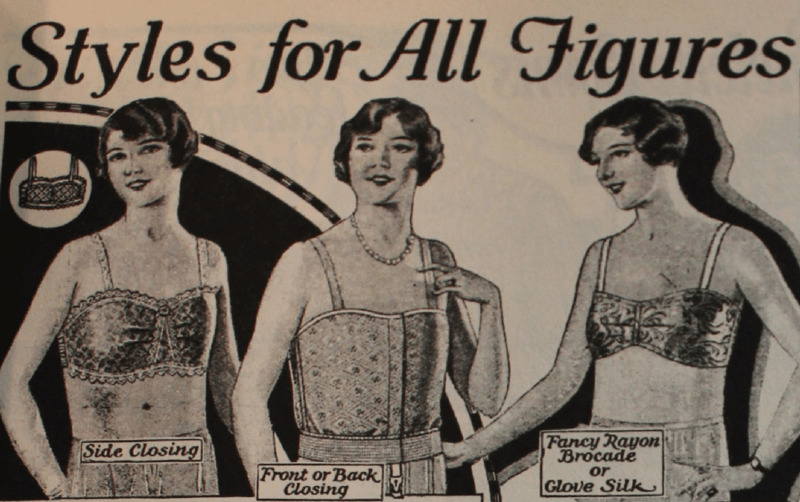 Besides conserving resources, other aspects of the war also contributed to the demise of the corset and the rise of the bra. 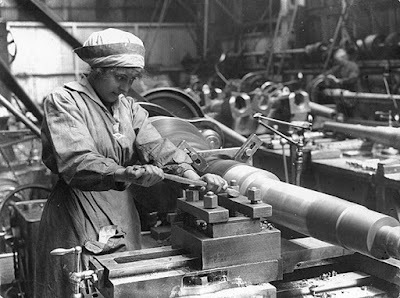 For instance, during the war, American women found themselves working in factories, places where it simply wasn’t possible to function properly wearing an ultra-tight, ultra-restrictive corset. Women still needing some support in these active jobs, the bra became the most used alternative. 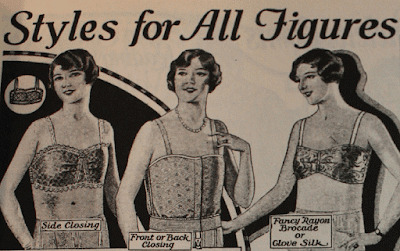 By the end of the war, fashion-conscious women in North America and Europe were now mostly wearing brassieres and soon mass production of bras ramped up, despite there no longer being metal shortages or as many women still working factories and the like. Women in Asia, Africa, and Latin America followed the trend. The reason the switch was more or less made permanent was that corsets were designed to accentuate the curvy Victorian ideal of beauty by cinching the waist and boosting the breasts. In the process, this made it very difficult to breathe and squeezed women’s waists so much that it could even displace organs and cause certain internal problems, along with symptoms such as fainting, gynecological issues, flushing, and nausea, among others. With corsets out, women could move and breathe. 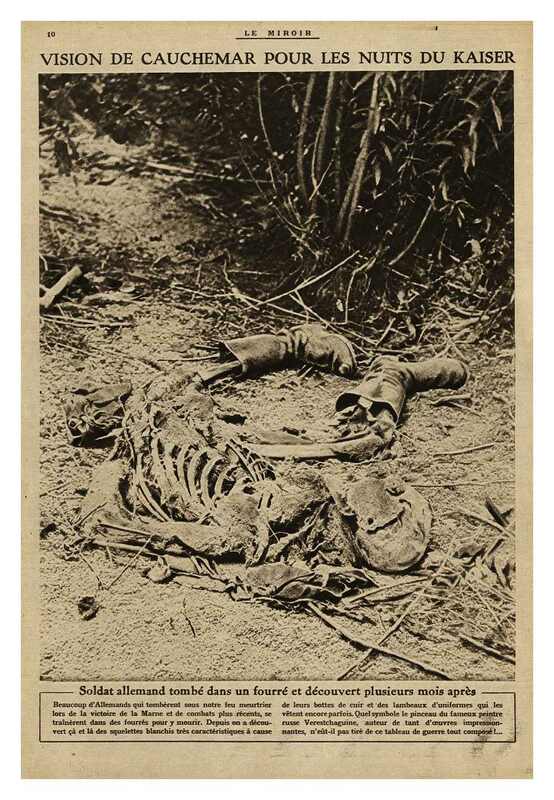 Contrary to modern myth, during the war itself, many photographs of the dead were published in news magazines in all the warring countries. There are some general trends that are evident, however. 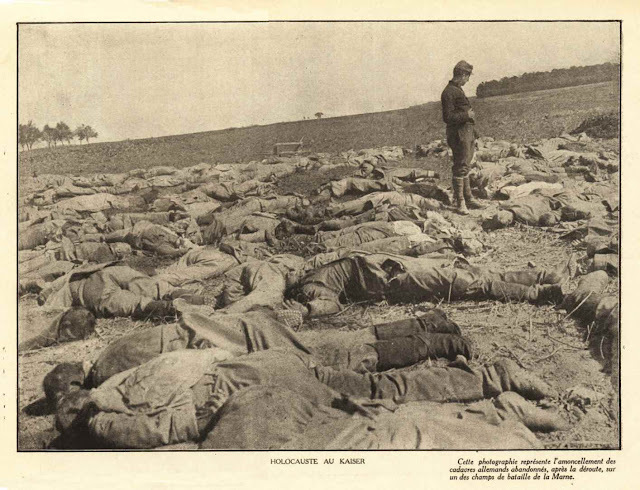 British news editors were apparently not so keen as their French allies to show great numbers of dead soldiers. An occasional corpse or two was quite sufficient for the staid Englishman, say, a dead sniper who had got his just deserts, or an unlucky Hun who had bitten the dust. 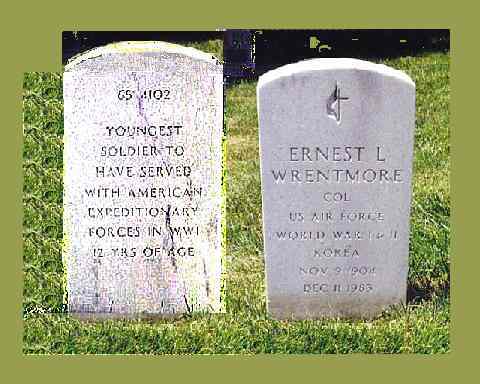 Ernest Wrentmore of Ohio served the United States in three wars. 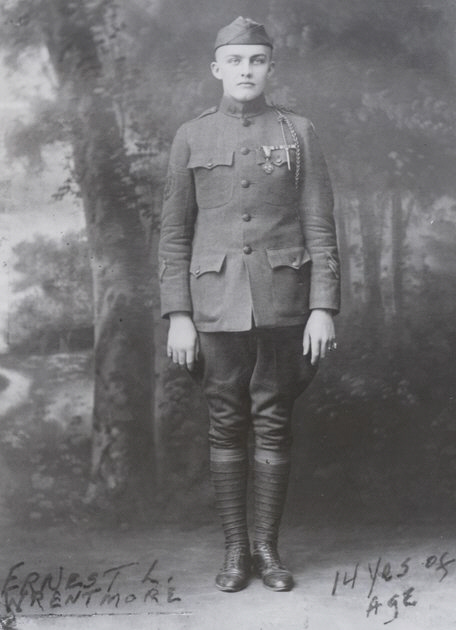 His service included fighting with considerable distinction with the AEF's 5th Division in the Argonne Forest. There is one detail, however, that sets Wrentmore apart from all the other troops who served with the AEF. 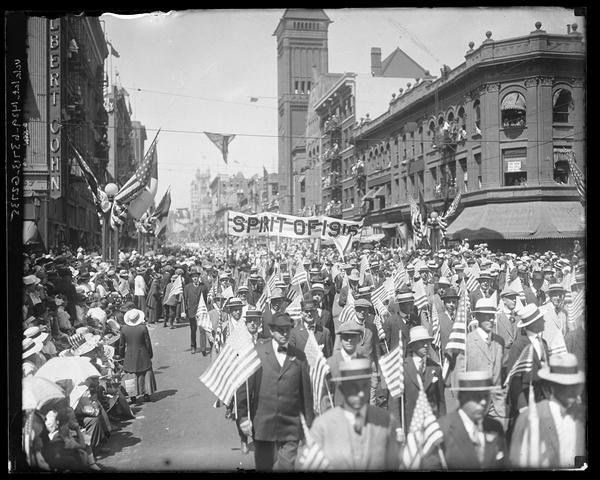 The photo shown was taken after the Armistice when Wrentmore was all of 14 years old—he actually had enlisted when he was still 12 years old! Later, he served in the Army Air Force and U.S. Air Force, attaining the rank of full colonel as an intelligence officer. After his death in 1983, a bill was introduced in Congress to award Wrentmore the Medal of Honor, but it was not passed. His grave marker at Arlington includes an entry on the back citing him as the AEF's youngest soldier. 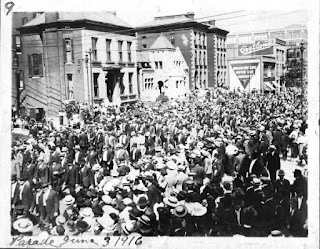 Many of those [women] who initially rushed to sign up [for war work] had never been farther than the boundary of their village, or town, and had known few people outside their neighbors and, later, those they worked with. Going to war was to be the big adventure, which brings me to two women who immediately saw the opportunity to blend adventure with service: Elsie Knocker and Mairi Chisholm, who, arguably, became the most famous women of the Great War, as news of their courage reached Britain and, indeed, the rest of the world. They became known as the "Angels of Pervyse" after the village north of Ypres where they cared for the wounded for almost four years. 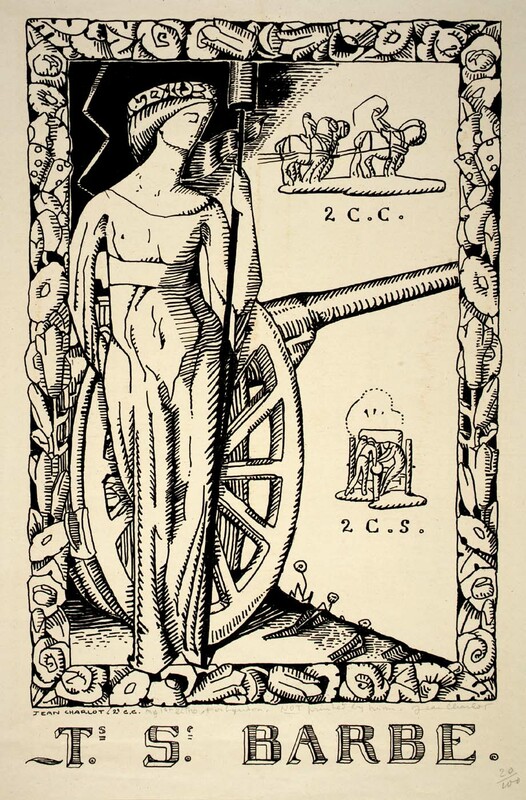 "Elsie wanted to get away from the dreary post-Victorian life she was leading," says Flemish historian Patrick Vanleene, "and young Mairi thought Elsie could lead her to an adventurous life". In a letter to her aunt shortly after arriving in Belgium, Mairi wrote: "Fancy […] lolling about doing nothing when there is such a tremendous lot to do here. It's too rotten to think of." 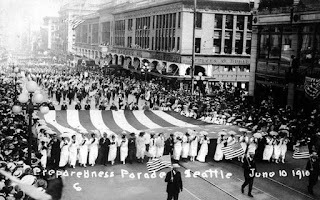 An early turning point came when the women realized how many soldiers were dying because they were not treated soon enough, as the front lines were far from the base hospitals. Elsie and Mairi decided to do something about it. They left Munro's team, broke out on their own, and moved to the heart of the battle zone in Pervyse. Here the two women set up their first aid post in autumn 1914. Their run-down cellar house, Le Poste de Secours Anglais, as it became known, was just meters away from the Belgian front line. At first, they had help from former colleagues, but by the beginning of 1915, it was just Mairi and Elsie, risking their own lives to help save those of the Belgian soldiers. 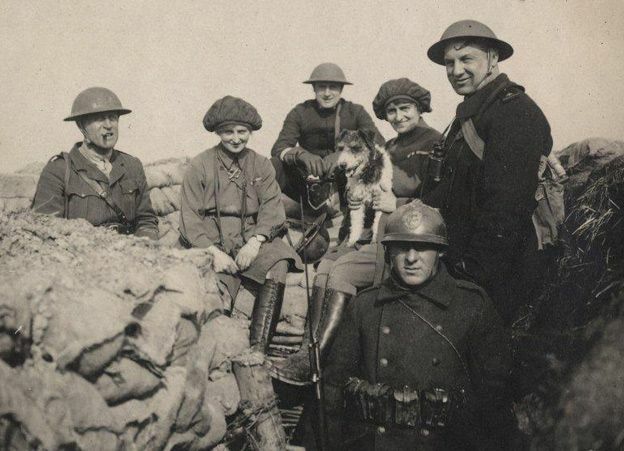 As well as their medical work, Mairi and Elsie were a constant presence on the front line, often handing out hot cocoa and soup to the grateful Belgian soldiers. They were regularly mentioned in soldiers' diaries, poems, and songs and were given presents too. Before long, the women were known as the Madonnas or Angels of Pervyse. As their reputation soared, so too did the publicity that surrounded the Angels of Pervyse. "People really wanted to meet them and to see the conditions they were living in, and in many ways just to be able to say they'd met them," says their biographer Diane Atkins. Elsie and Mairi became celebrities of their day—British visitors to the Flanders Front would go to meet them; they were lauded in the press and treated like stars on their visits back to British soil. Their work continued throughout the war years, but in 1918 both were seriously injured in a gas attack and returned to the UK for treatment. The momentum behind their work was lost and neither was in Pervyse when the Armistice came. This photo shows the three most important contributors to Germany's military and commercial zeppelin efforts. 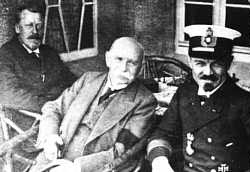 The story of the father of the German airship, Ferdinand Adolf August Heinrich Graf von Zeppelin (center), is well known. Ferdinand von Zeppelin entered the Prussian army in 1858. Zeppelin went to the United States in 1863 to work as a military observer for the Union Army in the American Civil War and later explored the headwaters of the Mississippi River, making his first balloon flight while he was in Minnesota. He served in the Franco-Prussian War of 1870–71, and retired in 1891 with the rank of brigadier general. Afterward, the count spent nearly a decade developing the dirigible. The first of many rigid dirigibles, called zeppelins in his honor, was completed in 1900. He made the first directed flight on 2 July 1900. In 1910, a zeppelin provided the first commercial air service for passengers. The military potential for observation and bombing was clear, and both the German army and navy embraced it for wartime use. 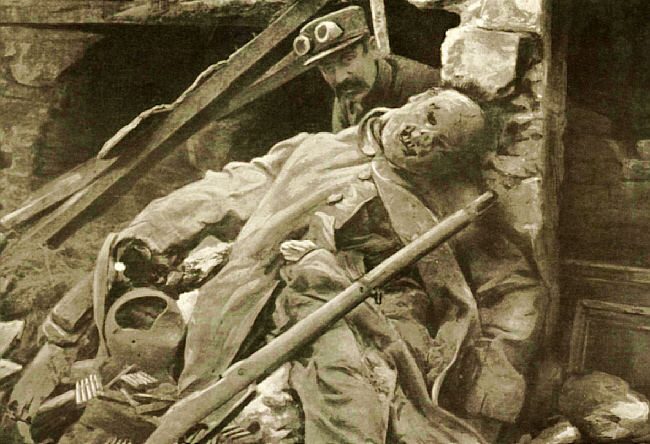 Zeppelin died of pneumonia during the war on 8 March 1917 at the age of 78. Captain Peter Strasser (right) was the dynamic leader of Germany's emergent Naval Airship Division. He said the airships were "a certain means of victoriously ending the war." His attacks on England continued virtually unchallenged into 1916, but eventually countermeasures made the zeppelin attacks unfeasible. He subsequently died while aboard the height-climber L-70 when it was shot down over the English Channel on 5 August 1918. The event marked the end of the airship as a strategic bomber. Despite the zeppelins' mixed success as strategic bombing platforms, their attacks on cities left an indelible impression on their opponents. 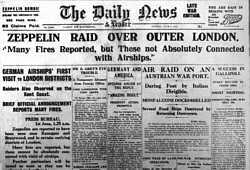 They were banned, and surviving airships were required to be surrendered under the Treaty of Versailles. Hugo Eckener (left), an early supporter of Count Zeppelin and important technical contributor, would go on to lead Germany's postwar airship program. Though he had remained a civilian during World War I, Eckener was deeply involved in Germany’s use of zeppelins during the war. Eckener was the senior advisor to the German navy’s airship chief, Peter Strasser, and as director of airship training for the German navy, Eckener trained more than 50 flight crews, comprising more than 1,000 men. Although the Zeppelin company was almost out of business after the war, Eckener spotted an opportunity due to the reparations laid on Germany. Eckener convinced the Allies to allow the Zeppelin Company to build a new ship, LZ-126, to be delivered to the Americans as USS Los Angeles in partial satisfaction of these reparation obligations. 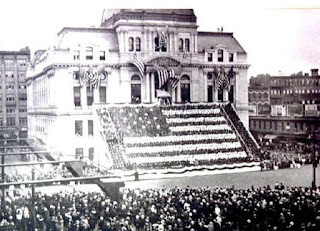 The transatlantic flight of LZ-126 from Germany to America was an aviation triumph, and Eckener, and his crew were given a ticker-tape parade up Broadway in New York City and greeted at the White House by U.S. President Calvin Coolidge. The construction of LZ-126 kept the Zeppelin Company alive, maintaining not only its plant and equipment, but also its workforce of its highly skilled employees. 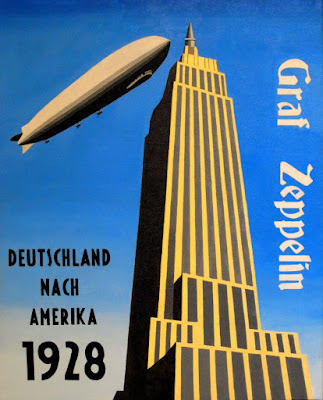 The construction and operation of LZ-126 also provided Eckener and his colleagues with the knowledge and experience they would use to build Graf Zeppelin and Hindenburg. The crash of the Hindenburg and the death of 36 people at Lakehurst, New Jersey, however, would end Eckner's dream of civilian air travel by airship. 24 September 1919. 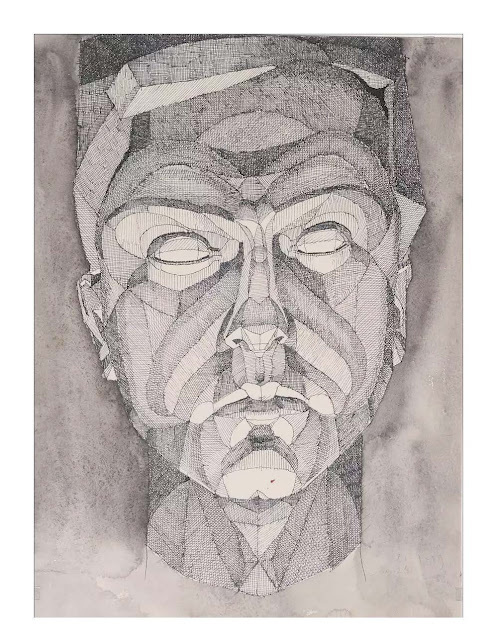 Pencil and wash. 10 1/8" x 14 5/8"
© The Jean Charlot Estate LLC. With gracious permission. 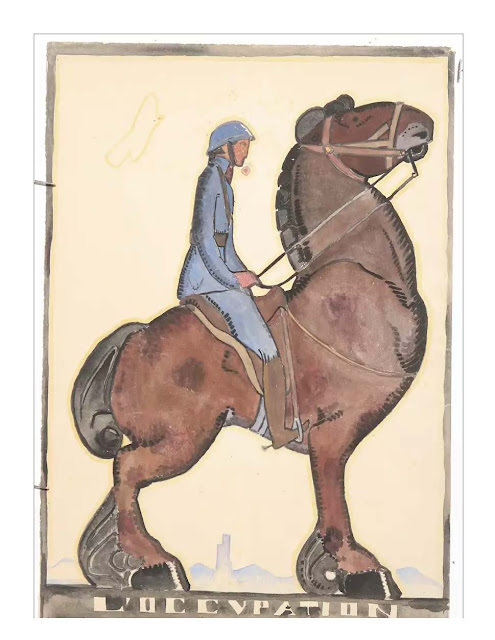 Louis Henri Jean Charlot (1898, Paris – 1979, Honolulu) contributed to the visual and poetic arts of the 20th century with depth and talent, inspired by his deep Catholic faith, his love of folk imagery, and, early on, his experience in the Great War. Your Will that I suffer on this corner of earth, that I die for a carnal and imperfect France. His son John writes in his biography of Charlot* that this is a "clear expression of Charlot's search for a religiously permissible attitude to making war." 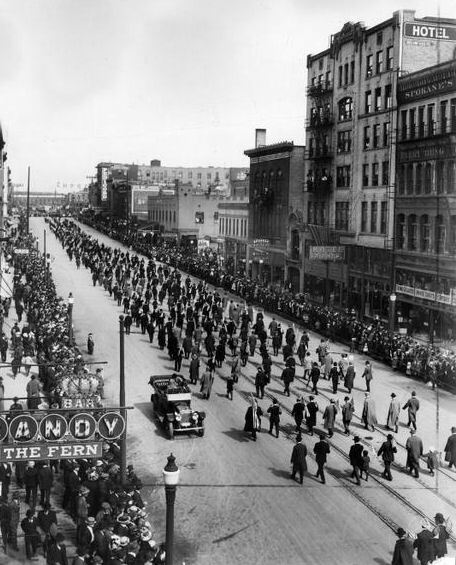 Submission to God was a driving factor for Charlot, more than patriotism or politics. The measurement of a painting is not physical but optical...In artillery, the unit is not physical but optical: whatever happens to be measured as one inch when seen at one mile. For a greater distance, a physically larger object will be needed to fill that inch, but for the artilleryman, that inch will still be the unit of measurement. What we have here is not a constant measurement on the ground, but a constant angle in the eye. His next training post was Sézanne, in Champagne (which he charmingly misspelled "Cezanne" at first). 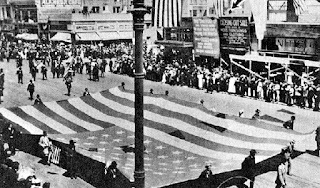 Charlot's egalitarian nature welcomed this life with the common soldiers and his lowly rank due to his lack of a baccalaureate. of those men who are accountable for other men. He was posted to the 105th Heavy Artillery, which deployed the celebrated 75mm cannon. In June 1918 his unit was in the center of the German Gneisenau offensive at the Battle of Matz. Charlot himself served as a radio operator during the battle. Once in combat he could draw only with limitation, with "a little pocket sketchbook," so he focused more on poetry for his artistic outlet. Soon after, in July 1918, he was called to the artillery school at Fontainebleau for officer training, in spite of his lack of a baccalaureate and probably because of his social standing and apparent abilities. This kept him from the 2nd Battle of the Marne, likely saving his life. Once he acquired his lieutenant's rank (aspirant) he was posted to the illustrious Moroccan Division, in the 5/101st Heavy Artillery, in October 1918. With the Moroccans he served in the occupation of the Rhine from December 1918 until his demobilization in 1921. This work with its confident solidity speaks to the murals Charlot would famously paint later in Mexico and the United States. It also conveys, appropriately enough, the occupier in the style of the ancient equestrian conqueror. 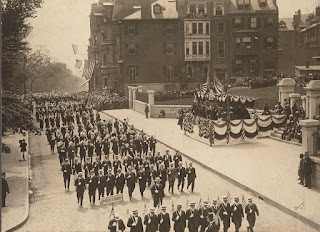 Interestingly, Charlot had none of the anti-German bigotry so common for a Frenchman; his father had had extensive business connections in Germany and the family spoke fluent German. So Charlot was a benevolent occupier while in the Rhineland. 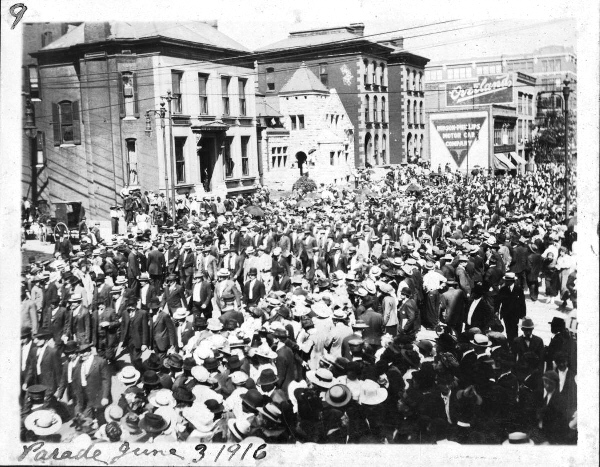 29 July 1919. 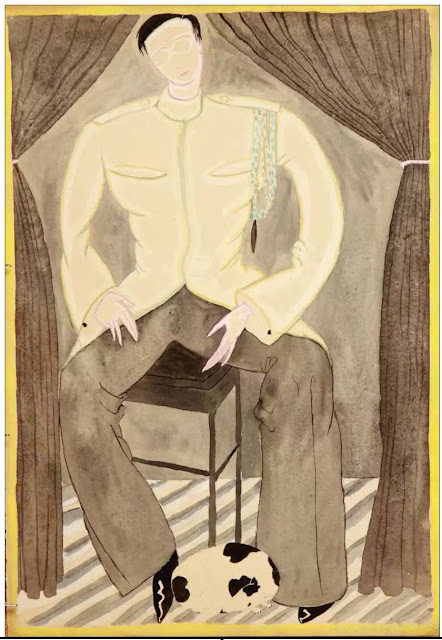 Pencil, wash, and gouache on paper, 10.25" x 14.75"
Charlot's father, Henri, had died during the war, and he and his mother, whose family came from Mexico, emigrated to that country. Charlot began a rich and varied postwar artistic career there, becoming involved with the Mexican muralists, Rivera and Orozco, among others. Charlot and his mother moved to New York in 1928 where he continued his significant and prolific work. He lived briefly in Colorado Springs in the late forties and finally moved to Honolulu, Hawaii, in 1949, yet another place that inspired his art through folk imagery and artistry and their intercultural influences. The Jean Charlot Foundation http://www.jeancharlot.org/jcf/ is in Honolulu. the primary source for this post. 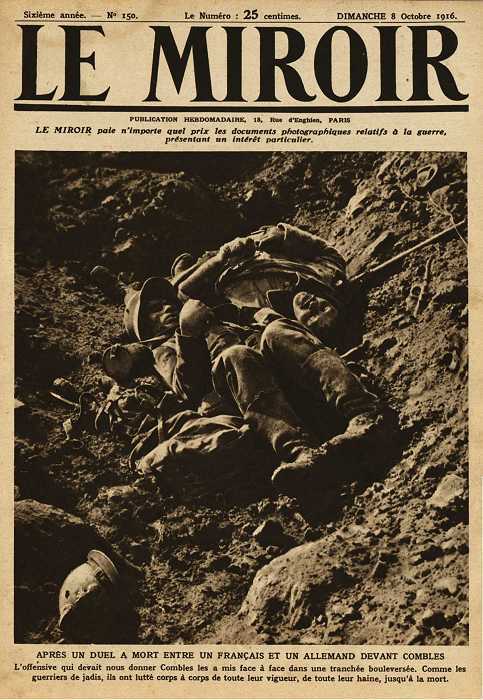 Although we're all familiar with classic WWI autobiographical novels such as Remarque's All Quiet on the Western Front, Jünger's Storm of Steel, or Barbusse's La Feu (Under Fire), we're not as likely to have heard of another work which rightfully belongs in the same class: Gabriel Chevallier's Fear (La Peur). Written in 1930, this book wasn't translated into English until 2011, and even the French version was unavailable for several years since it was considered seditious. It's also interesting that the 2014 paperback edition of this extremely powerful book is entitled Fear: A Novel of World War I. 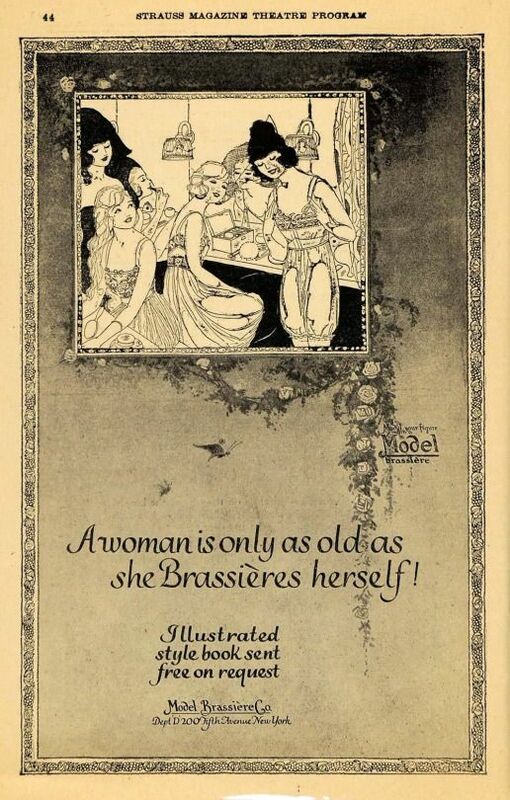 No earlier editions include this subtitle. I suspect it was added to define the book in the reader's mind as a novel even though in some ways it could be seen as a memoir, reminiscent of Blunden's Undertones of War, Graves's Goodbye to All That, or Frederic Manning's Her Privates We. ...this deadman was like the watchman for a whole kingdom of the dead. This first French corpse preceded hundreds of other French corpses. 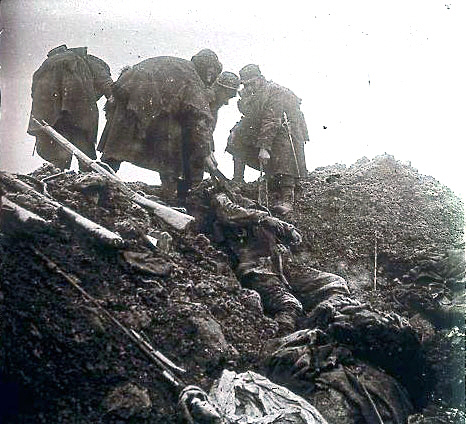 The trench was full of them…Corpses contorted into every possible position, corpses which had suffered every possible mutilation, every gaping wound, every agony (p. 62). So they were withdrawing our predecessors from the morning, the first waves of the unstoppable offensive that had come to a standstill ahead of us. They were cleaning the battlefield. 'A fine turn-out by the hearse section,' said one wag. 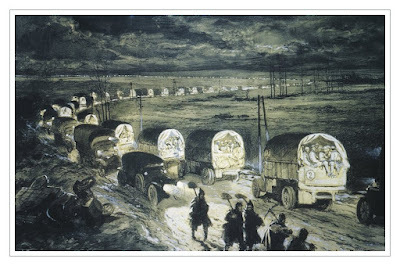 Each cart carried grief to a score of families (p. 56). The survivors, men who have already endured dangers and torment beyond normal human comprehension, speak of Verdun with great horror. They say that when they got out they couldn't eat properly for several days because their stomachs had been so knotted with fear, because everything filled them with disgust. 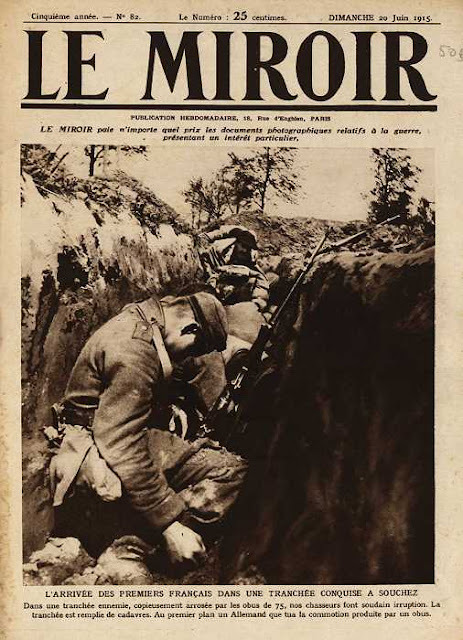 They have remembered nothing from Verdun except terror and madness (p. 155). It's true that I'm a malcontent hero. 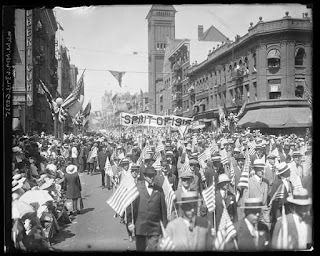 If I am asked about the events of the war, I have the bad and unsociable habit of describing them as I found them. This liking for truth is incompatible with civilized behavior (p. 138).
. . . it is accepted, by some strange aberration, that a great loss of men proves the courage of those who command them — by virtue of that axiom of the military hierarchy which states that the valour of soldiers is created by the valour of their leaders, an axiom which does not have a converse form (p. 154). This novel gives deep and indelible insights into the horrors of war and the nature of fear as only someone who has experienced them can. As I mentioned earlier, Gabriel Chevallier's Fear well deserves to stand beside other classics written in the decade or so after the Armistice. Not only is it a compelling read, but its vision of the war through a blend of piercing description and cynically intelligent questioning gives us some surprises and insights that we might greatly appreciate. 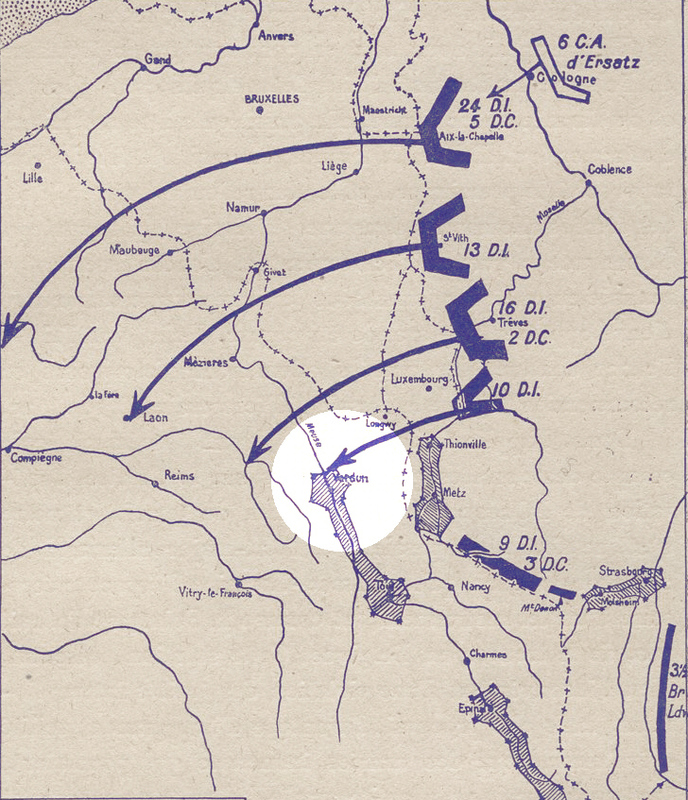 On 21 February, at 0715 hrs the Germans opened fire on the two banks of the Meuse, over a front of 40 kilometers. Simultaneously, Verdun proper was systematically bombarded, the first shells falling on the cathedral grounds. Fire was kept up for nine hours, the 1200+ German artillery pieces included a high proportion able to fire heavy-caliber shells. The infantry attack was launched out of the north at 1615 hrs, just before dusk, from the Haumont-Ornes Woods. The first strong resistance they met was from Chasseurs deployed in Bois des Caures commanded by Lt. Col. Emile Driant, who became the first hero of the battle after being killed the second day. 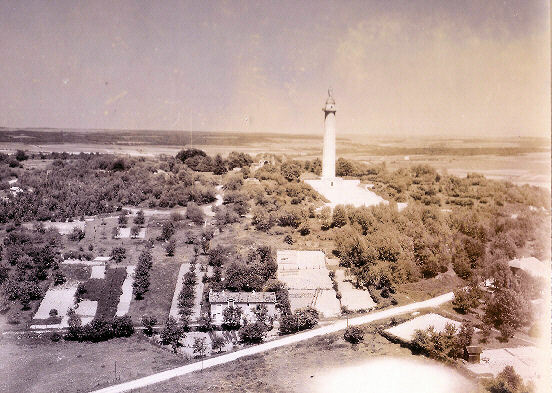 Over the next few days the terrain and villages between the Bois des Caures and Fort Douaumont were systematically conquered. The massive fort, which was almost abandoned, fell without resistance on 25 February. It would later be written that this failure cost France 100,000 lives. 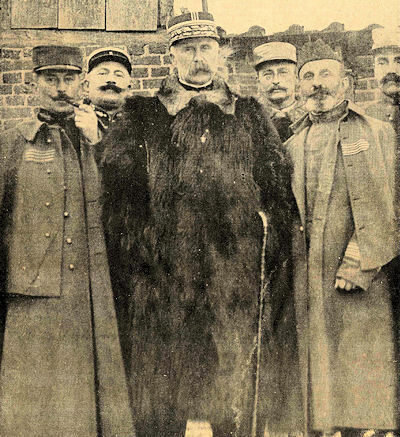 General Henri-Philippe Pétain took command over the army of Verdun the same day. To better organize the defenses, he implemented a rotational system for the defending troops and improved the only supply route to the City, the Bar-le-Duc-Verdun road, which came to be known to posterity as the Voie Sacrée or Sacred Way. 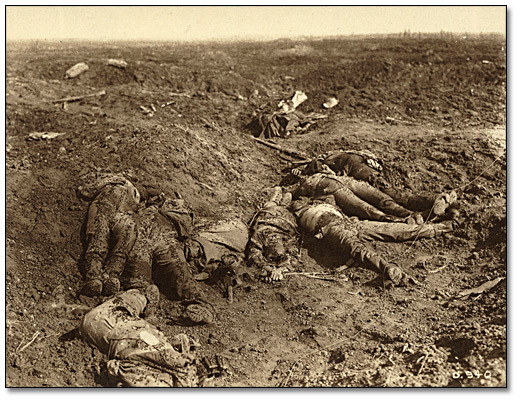 Today is the 100th anniversary of the opening of the Battle of Verdun. Using my editor's utilities, I can see that to-date, after 1,027 postings on Roads to the Great War, this will be our 84th entry to touch on Verdun. I've been somewhat at loose ends trying to come of with something new and fresh on the battle of 1916. But I've recently come to the realization that Verdun is the most important battlefield of the Great War, not because – at least, not solely because – of the 1916 fighting there. 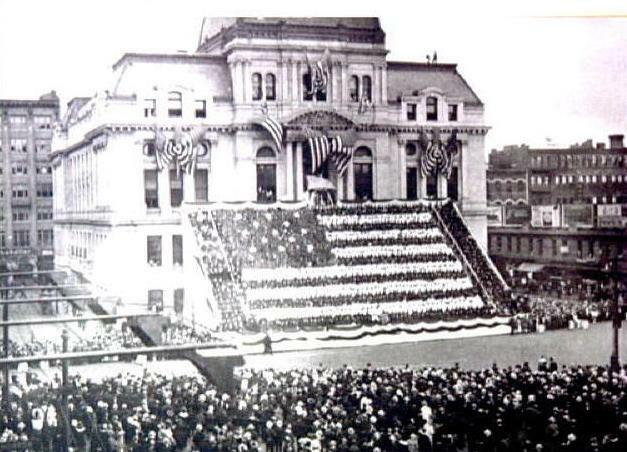 And Verdun was not only an important factor in every year of the war, it was a strong influence on the pre-1914 planning for war and, after 1918, a strong factor in the planning for the next war. I was a long time coming to this realization because I have longed believed that it is quite evident that 1914's Battle of the Marne is the most important single battle of the war, since it precluded a quick victory by either side, and condemned the participants to a long, grinding affair. However, I now realize Verdun, including the city, the fortified zone, and its immediate flanks shaped the conduct of the fighting throughout the war, and the way the war is remembered today. The Schlieffen Plan, on close examination, used highly fortified Verdun as the dividing point for the holding armies of Germany, south of the city, and the swinging pendulum through France, to the north and west. Verdun was to be outflanked and eliminated as a threat to the German rear. A. 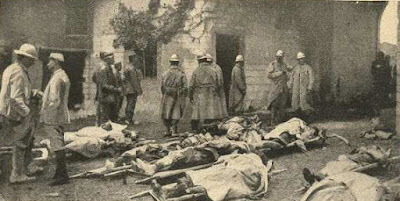 The failure of the Crown Prince's 5th Army to take Verdun in the opening of the the decisive battle and then advance in support of the armies to the west gave General Joffre opportunity to withdraw in good order and time to prepare a counterstrike. B. 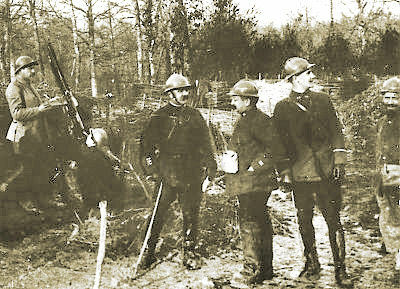 The resulting Battle of the Marne was won by France between Paris and a Verdun that was still held by the French Army. C. The French failure to protect the eastern flank of Verdun (later known as the St. Mihiel Salient), however, would leave the city under constant threat for much of the remaining war. Overlooked in many histories is the intense and manpower draining fighting on the flanks of Verdun throughout 1915 in the Argonne Forest, Woëvre Plain, and Meuse Heights. France's most memorable battle of the war, fighting off the German assault at Verdun, consumed almost the entire year. A. After the exhaustion of the 1916 battle, during which two-thirds of France's divisions served at Verdun, the French Army experienced mutinies, following the failure of their spring offensive. B. The man called back to re-establish order in the Army was the hero of Verdun, Philippe Pétain. C. Despite the mutinies, the French Army's principal offensive operations of 1917 were waged to regain territory lost in 1916 around Verdun. 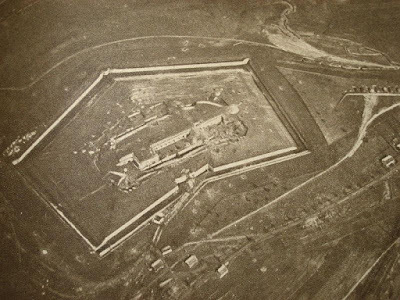 The main American battlefields of the war were around Verdun in the final two months of the war. When they were fought, the St. Mihiel and Meuse-Argonne Offensives were the two largest battles the U.S. had ever fought and contributed greatly to the German request for an Armistice. General Pershing understood that the Lorraine sector was the back door to the Rhine river and the heart of Germany. A. The "Verdun Experience" was sacralized in France, a combination heroic epic and tragedy to be avoided in the future at all costs. B. The Verdun fortresses, the two most important of which were actually captured in 1916, inspired the defensive Maginot Line. C. German veterans of Verdun, such as Heinz Guderian, however, would learn a different lesson for the next war. 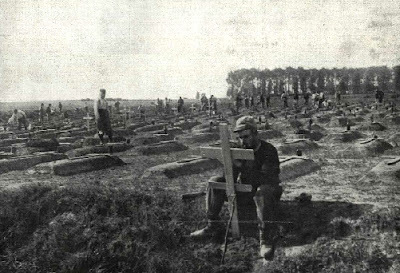 Looking at the full picture of the Great War, from its run up through the Second World War, it is quite hard to dispute that Verdun was its most important battlefield, and possibly the most significant of the entire 20th century. 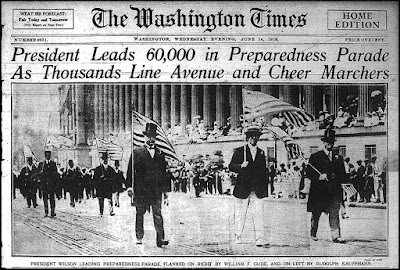 American's Preparedness Movement spontaneously began in 1914 as it became apparent to many that the country was not prepared for the type of war sweeping across Europe. 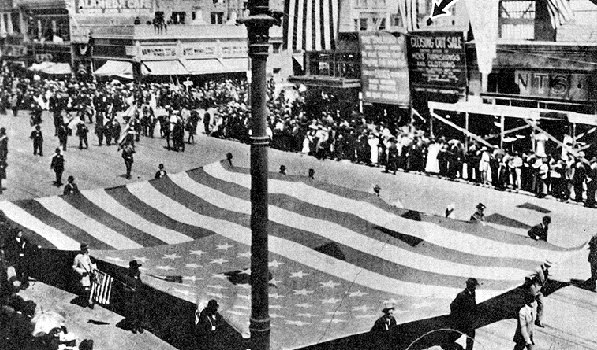 Its biggest boost came in May 1915 after the loss of 128 Americans on the RMS Lusitania. 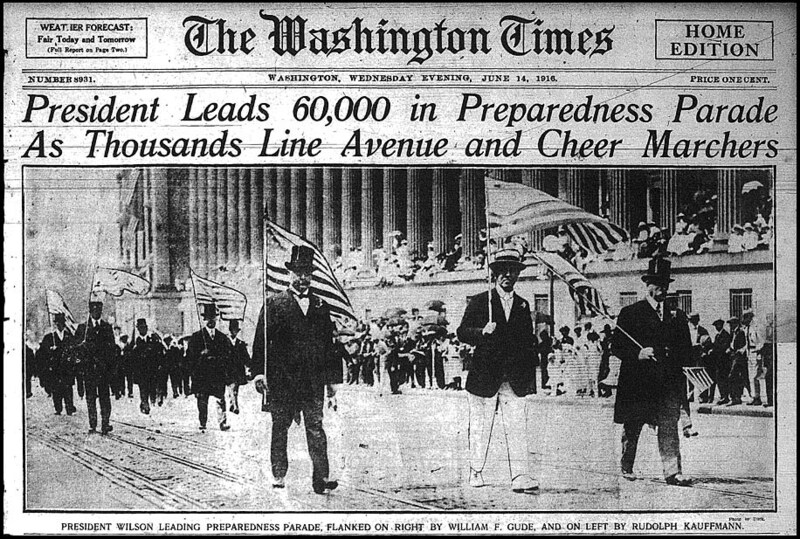 With Theodore Roosevelt and General Leonard Wood as spokesmen, the Preparedness Movement pushed an agenda that included an expanded navy and army for defensive purposes, universal military service for a period of six months for all men turning 18, and an expanded standing reserve force in lieu of the National Guard. 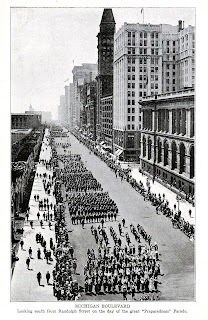 Below are some images of those parades held all over America in the spring and summer of 1916. Click on the images if you would like to see them in larger formats. Just before he retired from the British Army Major General J.F.C. 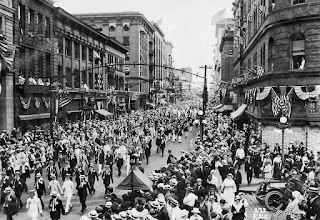 Fuller, brilliant historian and military theorist, fascist sympathizer, and all-around insufferable Odd Duck, published a reflection based in good part on his experiences and observations in the Great War. It was titled: Generalship: Its Diseases and Their Cure. Naturally it was not well received by the high command of that period. Some say it was suppressed. Here are some of Fuller's points that still seem to ring true. 1. In France, as in Gallipoli, and from all accounts in every theater of the World War, a blight fell upon generalship. 2. 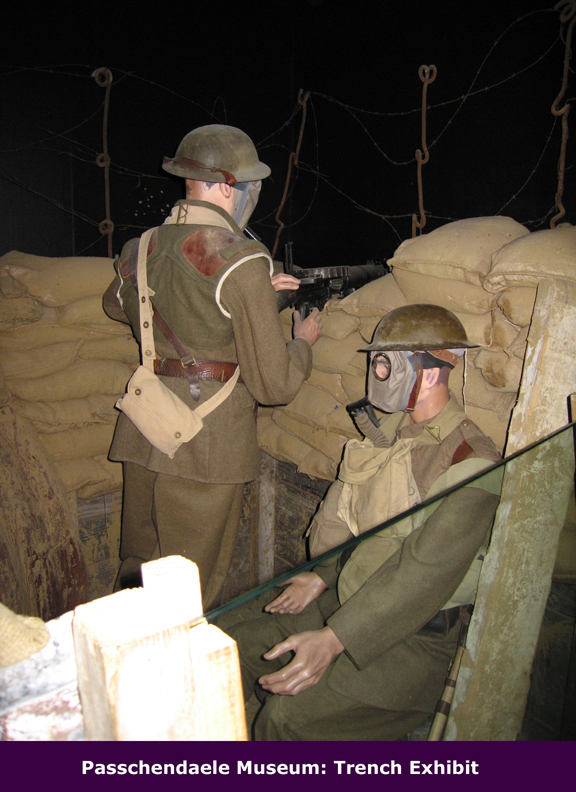 Passchendaele [as an example. . .] though no one in his senses would have expected the general-in-chief, or his subordinate army commanders, to lead their men over those desolated shell-blasted swamps, very little was done outside formulating a plan to fight an offensive battle in a most difficult defensive area, with the result that soon after this battle was launched, on 31 July 1917, all contact between the half-drowned front and the wholly dry rear was lost. This hideous turmoil will go down in history as the most soulless battle fought in the annals of the British Army. 3. Sometime before the outbreak of the World War, the art of soldiership slipped into a groove and became materialized . . .the more management or command became methodized, the more dehumanized each grew. 4. By 1914 [the generals] saw [the troops] no longer; now and again, perhaps, he heard of them far away, as managing directors sitting in dug-outs, in chateaux, and in offices. 5. 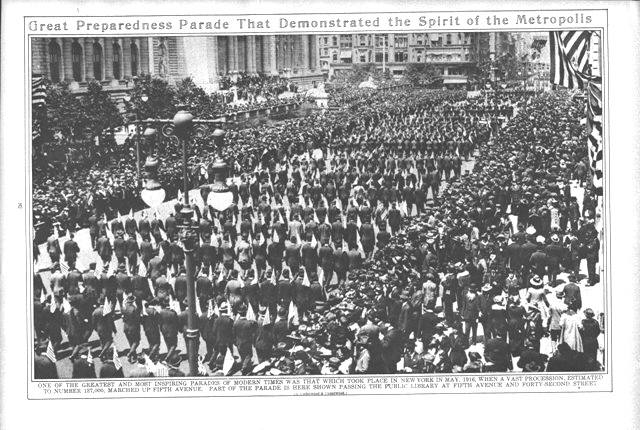 Where the German [General Staff] system went wrong was that it superimposed a committee of irresponsible non-fighting officers on the general. . .the object was not to liberate the general from non-fighting detail and so allow him to develop his personality and exercise it; but to restrain or stimulate his personality and so establish a uniformity of doctrine and action. 6. In war it is almost impossible to exaggerate the evil effects of age upon generalship, and through generalship, on the spirit of an army. . .First, war is obviously a young man’s occupation; secondly, the older a man grows the more cautious he becomes, and thirdly, the more fixed his ideas. . .Youth, in every way, is not only more elastic than old age, but less cautious and far more energetic. 7. In war, as in peace, individuality is far more important than uniformity; personality than congruity, and originality than conventionality. . .The old are often suspicious of the young and do not welcome criticism, yet without criticism both destructive and constructive, there can be no progress. 8. I maintain that the proper place for a general is with his men, sharing their discomforts and dangers. . .
10. These then are the three pillars of generalship: courage, creative intelligence, and physical fitness; the attributes of youth rather than of middle age. 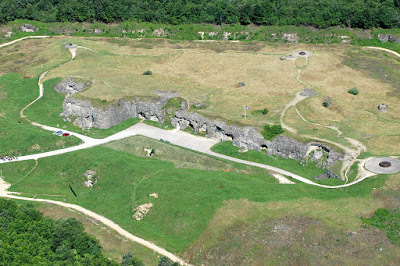 In the opening of the Meuse-Argonne Offensive the most important objective for the AEF was the German strong point and commanding observation point of Montfaucon. It lay over four miles north of the Doughboys' jump-off line of 26 September 1918. The job to capture Montfaucon was assigned to the 79th Division, a unit that had never seen combat before and was commanded by a general who had not been in battle himself. 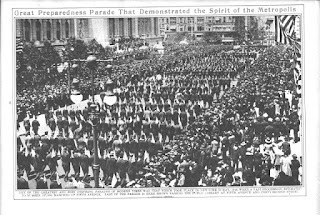 The men of the division were not quite "just off the troop ships," but had received much less training in France than most of Pershing's other divisions. One member of the division, novelist James M. Cain, assigned to the divisional headquarters, later summarized what happened that day. On the 26th of September, 1918, when the old 79th Division hopped off with the rest of the AEF on the big drive that started that morning, the big job ahead of us was to take a town named Montfaucon, and it was the same town where the Crown Prince of Germany has his PC [Post of Command] in 1916, when them Dutch was hammering on Verdun and he was watching his boys fight by looking up at them through a periscope. And our doughboys was in two brigades, the 157th and 158th, with two regiments in each, and the 157th Brigade was in front. But they ain’t took the town because it was up on a high hill, and on the side of the hill was a whole lot of pillboxes and barbed wire what made it a tough job. From "The Taking of Montfaucon"
Some historians downplay the delay in the American advance caused by the failure to capture Montfaucon that day, but the effect was more long-term. Pershing's First Army had caught the defenders by surprise and in most parts of the sector were advancing fairly promptly. The failure to take Montfaucon that first day held up the advance somewhat but—much more important—allowed the trained observers atop the hill to get a more detailed and comprehensive estimate of just what the Yanks were up to. High-explosive and gas shells were directed onto the advance columns. Reserves were promptly forwarded to the best possible locations—the heights running across the sector north of Montfaucon—by the German commanders based on the accurate reports they were receiving. Over the years I've read many explanations as to why Montfaucon was not captured that first day. Lack of training, exhaustion of the troops, mismanagement by the division commander MG Kuhn, and the AEF-wide inexperience at coordinating artillery with infantry advances all make the list of problems and are serious considerations. However, over the years that I have visited the battlefield, two other matters have come to seem more important to me than any of these factors. 1. What Were the Planners Thinking? 2. It's Long, Long Way to Tipperary. 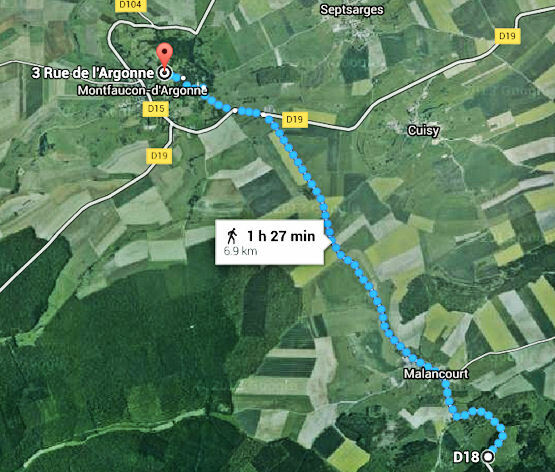 The map below from Google shows the distance to be covered that first day (about 4.1 miles) and helps give an idea of what had to be accomplished that day by the 79th Division. First, the village of Malancourt needed to be captured, and that was no small task. It had been a German strongpoint since 1916. The intervening terrain up to Montfaucon was originally open across rolling hills but years of artillery fire had broken up the ground, and scattered all around were old trenches and wire entanglements. Rainy weather ensured the troops would be marching across muddy fields as well. In the present day the 87-minute hike indicated on the map would be conducted along a paved road, with no mud, and no one shooting at you. In actuality, with the grimmest of wartime conditions, it was many hours later that the division reached the base of Montfaucon, and adequate artillery support was no longer available. 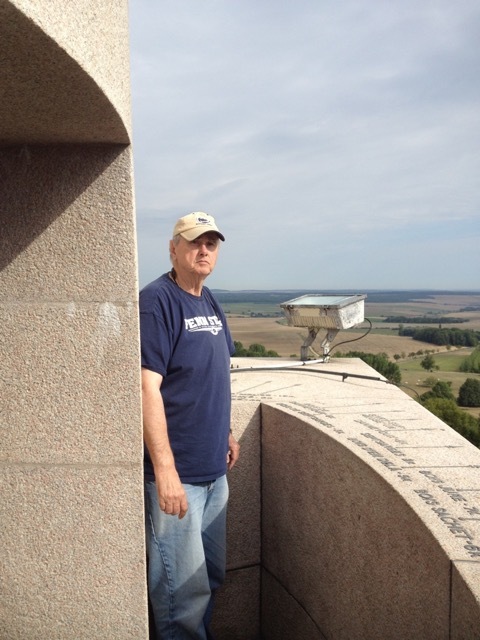 This next photo is from about a mile from the American Monument, which is adjacent to site of the former main German observation post, the ultimate target. Compared to the photo at the top, up close from this angle, Montfaucon looks pretty formidable, commanding the approaches—a little like Little Round Top at Gettysburg. Keep in mind also that it was guarded in 1918 by the "whole lot of pillboxes and barbed wire" Cain described. Try to project those details on the hill in this image. This is what the boys faced after slogging most of those four miles from the start line. A hornet's nest was waiting for them. I usually try to avoid "what if" or revisionist history, but in this case I've actually visited the battlefield, and over the years it has made a strong impression on me. My thinking is that I seriously doubt—given the level of challenge and capabilities of the AEF at that time—any of General Pershing's units could have taken Montfaucon that first day of the Meuse-Argonne Offensive. The men and officers of the 79th Division did as much as could be expected in a single day, and they took the Montfaucon the day after. 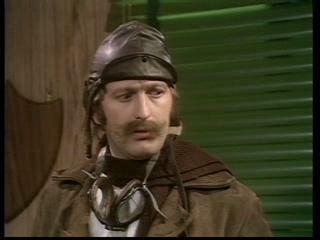 Captain James "Biggles" Bigglesworth is one of the great literary creations from the First World War. His air adventures are well known in the United Kingdom and other countries but much less known here in the States. Written by "Captain" W. E. (William Earl) Johns, the Biggles series consists of 96 books published between 1932 and 1970 with an additional six omnibus editions published within this period, plus two further books published in the late 1990s. Johns was born in 1893 and served in the war initially at Gallipoli and on the Macedonian Front. 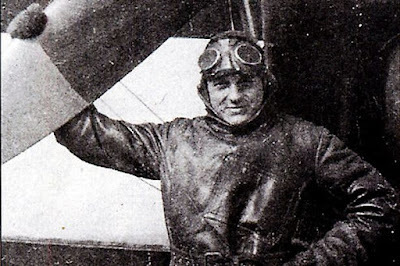 After being commissioned and volunteering for the Royal Flying Corps, he served in France first as a machine gunner and from 1918 as a fighter pilot. Shot down over Mannheim, he was captured, escaped, caught again, and given a death sentence. Only the sudden end of the war saved his life. 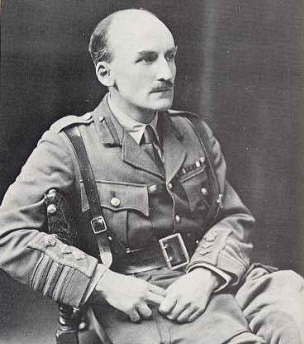 Johns remained with the Royal Air Force until 1927 as a flight instructor and later as a recruiting officer. His final rank was flying officer. When he became a successful author he promoted himself to captain. Biggles first appeared in the story "The White Fokker," published in the first issue of Popular Flying magazine, in 1932. 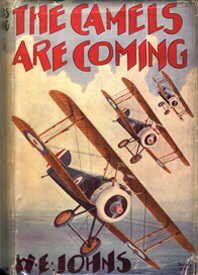 The first collection of Biggles stories, The Camels Are Coming, was published that same year. Biggles has appeared in films over the years, the latest attempt being a science fiction flick, Biggles — Adventures in Time in 1986. Fans of Monty Python's Flying Circus will recall the parodies "Biggles Dictates a Letter" and "Cardinal Biggles," complete with flying helmet and goggles, assisting in the interrogations in the "Spanish Inquisition" sketch. Sources: Andrew Melomet's review of Biggles – Adventures in Time in the September 2009 St. Mihiel Trip-Wire and Wikipedia.